The trailer of “Corazon: Ang Unang Aswang” is impressive for me in a sense that it was able to put my scary meter on a high after quite sometimes. Listening to director Richard, the film was shot in Baras, Rizal which really caught my interest because I’ve been to the place and I can say that Baras town can deliver an ideal setting for any horror film. 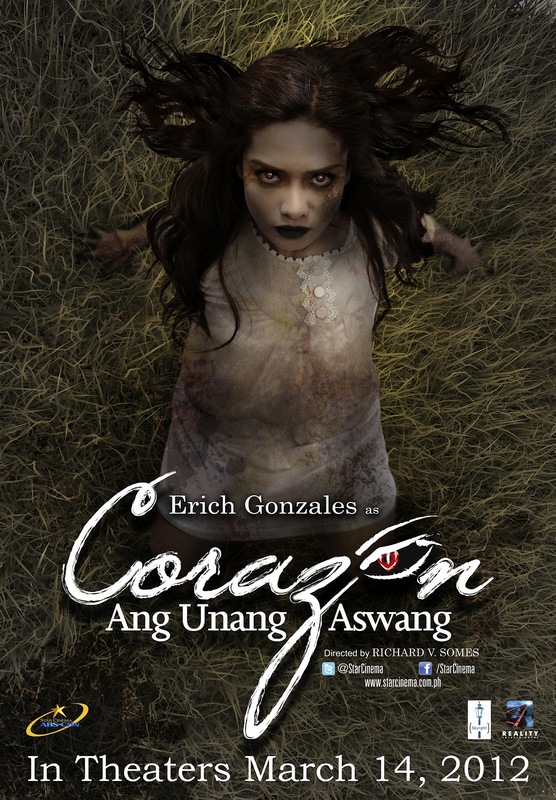 “Corazon: Ang Unang Aswang” is a must-watch. 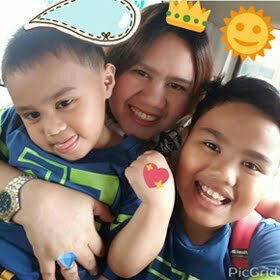 I personally believed the hard work of the freshman director and actors Gonzales and Ramsay matches the current thirst of the Filipino movie goers these days to see quality films whether one is big-budgeted or not. It’s the craft of an experienced individual who decided to put all his genuine ideas in a film and offer it to the public. 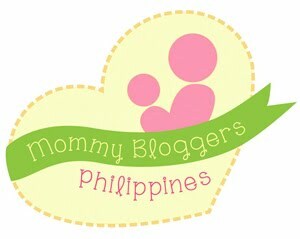 I would also like to commend Erich Gonzales as I’ve seen in the trailer of this movie a different character that I used to see in TV portraying the usual drama roles. I guess whether this movie take on a high or not, Erich’s performance is worth an award and recognitions. Mark the scariest date of the year in your calendar – March 14, “Corazon: Ang Unang Aswang”, showing in all theaters nationwide. 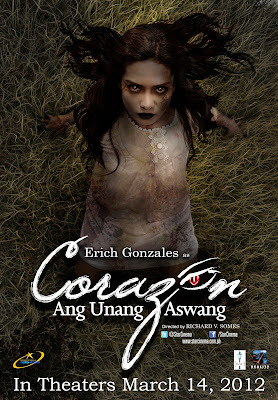 Read more on "Corazon: Ang Unang Aswang" here and view photos of the cast from the mothis album. This is the trailer I’m talking about which almost gave me anxieties after watching :).